Mehbooba Mufti expresses serious concern about selective targeting of tribal and other Muslim groups in Jammu division. Srinagar: Jan 20; People’s Democratic Party (PDP) President and former Chief minister Mehbooba Mufti has expressed serious concerns over the selective targeting of tribal Muslim community in Jammu Division. 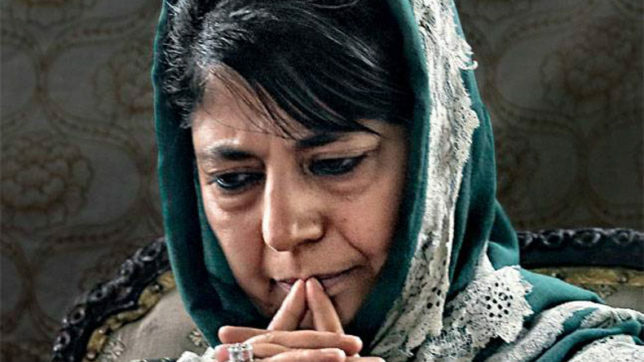 She said that selective eviction notices were served to 33 nomadic families in Jammu after the collapse of government and as recent as December 2018, an anti encroachment drive against Gujjar and other marginalized muslim families in Jammu was initiated. All this despite existing directives issued by her as the Chief Minister in February 2018, whereby no tribal community should be disturbed or dislocated till the time the state government can formulate a tribal policy. The directive had also said that if any such an eviction drive was necessary, it should be done after consulting the tribal affairs department. She warned the Government that giving in communal designs is like playing with fire in an already politically fragile state. “Any tinkering with the minorities in Jammu will have cascading effect in Kashmir and the situation can go out of control. The governor administration must therefore be cautious in dealing with this matter”, she said.